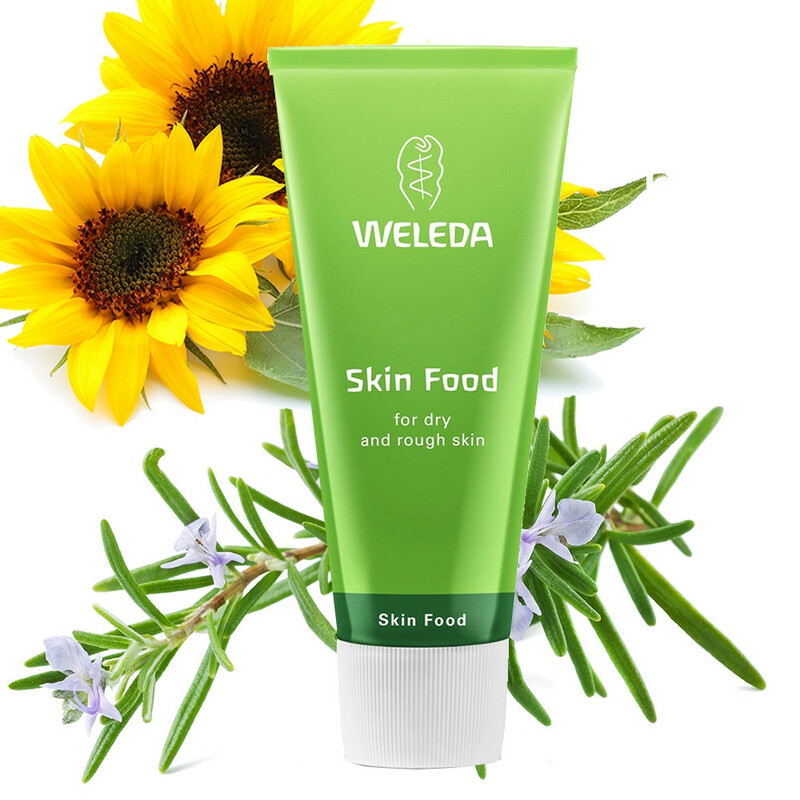 Weleda Skin Food is a deep-penetrating replenishing skin repair cream for dry patches of skin and for added protection. Ideal for skin that is dry, flaky and in need of extra care. One of Weleda’s oldest products. Original formulation since 1926! Weleda Skin Food is a nourishing and hydrating treatment for the whole body, especially hands, feet and elbows. This marvellous intensive moisture cream is a backstage beauty secret and been around since 1926. Made with organic sunflower seed oil, and extracts of wild pansy, chamomile, calendula and revitalising rosemary extract to perk up tired skin, it is a great rescue remedy for lack-lustre or generally undernourished complexions. Skin Food is delicately fragranced with refreshing essential oils including sweet orange and lavandulae and is the natural choice for everyday care of the face and body. Usage: A little goes a long way, so apply sparingly. This very rich cream is best applied to the face by gently patting on, so as to avoid dragging the skin. Elsewhere on the body, gently smooth into the skin until the cream is absorbed. To deeply nourish hard working, dry hands: apply liberally, cover with gloves and leave overnight. Tip: It can be used as a protective cream in harsh weather and is excellent for anyone regularly out of doors. Ingredients: Water (Aqua), Helianthus Annuus (Sunflower) Seed Oil, Lanolin, Prunus Amygdalus Dulcis (Sweet Almond) Oil, Alcohol, Beeswax (Cera Flava), Glyceryl Linoleate, Hydrolyzed Beeswax, Fragrance (Parfum)*, Viola Tricolor Extract, Rosmarinus Officinalis (Rosemary) Leaf Extract, Chamomilla Recutita (Matricaria) Flower Extract, Calendula Officinalis Flower Extract, Cholesterol, Limonene*, Linalool*, Geraniol*, Citral*, Coumarin*.